Once I understood the problems and logical as well as historical relationships of the pile of issues (from a view of project staff), I prepared my notes with some key questions to ask with counter parts, mainly government officials. Meeting some government officials across ministries always help me to understand their capacities and the degree of internal politics. Some of my hypotheses were confirmed and left some more questions which needed to be verified during the field trips in districts. This is my very personal thought but finding genuinely good people (including govt officials) is one of key elements to make any development project successful. Another key element us to recruit competent and trustworthy team members. The latter was obviously failed in this project and here we restructured the team last year and new staff joined. Although the past details were found to be scattered in pieces at best, not many visible work was done due to the funding suspension till 2011 September. 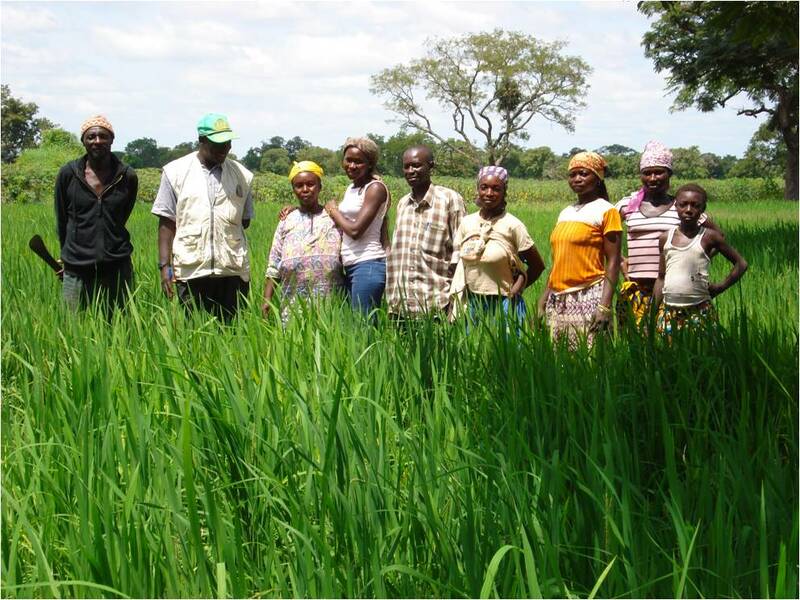 I found it seriously pity that the project was dysfunctional over the 2 years in spite of tremendous opportunities on the ground to help those trying to rehabilitate the damaged rice field and irrigation channels abandoned during the decade-long war in Sierra Leone. Why on earth millions dollars need to sit on a bank account while observing enormous needs of poor farmers. In my view, these didn't provide minimum work should be punished to compensate the opportunities lost during the period. Anyway, I took it positive chance to do more than the past. We reviewed the work plan, identify bottlenecks, developed risk management plans along with several risk mitigation measures. Given the multiple uncertainties including timeliness of local contractors, payment timing of government fund, period of rainy season and even performance of small farmers groups to mobilize local people to collaborate with the project, we had to discuss deeply and extensively various scenarios to be well-prepared to achieve targets. The past simply ignored dynamics and these risks, and consequently the lazy good intention didn't turn into good results. In spite of different project team members, we cannot repeat any negligence of the past because we don't have any more time to revamp the project which is finishing by end of next year while more than 60% of 5 year project left for the remaining 17 months. Adding more challenges, the project was designed to work with other ministries who are supposed to implement some activities and monitor progress. For example, the Ministry of Works is responsible to complete the physical rehabilitation of some facilities at selected agriculture research institutions who are, in turn, helping rice variety selection and dissemination of NERICA rice seeds that have higher yield than indigenous varieties. The Ministry; however didn't show a sense of responsibility nor passion to contribute to the objectives of the project. It was, therefore, required to use multiple channels of communication to ensure the proper and timely work to be carried out by the Ministry. This is a merely a piece of illustration but it is a necessary risk mitigation to achieve intended goals although it sounds like merely a part of project's daily work. That's why we had to spend so much time to identify risks and develop mitigation approaches (not one but a few) for each activity. It was also part of capacity development for project staff who were newly joined this year. It's not a rocket science, nevertheless, bringing about tangible results on the ground doesn't happen automatically by just sending letters to governments - you need to work with government officials and with their systems regardless of their level of competencies and efficiencies. Very frequently you find yourself so frustrated and wish less troubles. To mention some aspects of this project ( agriculture rural rehabilitation project), it aims at constructing/rehabilitating irrigation channels, development of low land (many places are swamp in rural areas of Sierra Leone), diversifying crops including cash crops, building institutional capacities of research institutions and develop farmer groups etc. If the project goes well, it will rehabilitate 12,000ha of low land/swamp and 8000 abandoned smallholder oil palm, cocoa and coffee as well as 410km feeder roads, increase rice yield up to 2.5t/ha , renovate agricultural facilities/buildings, construct marketing/drying/processing facilities, train farmers and establish 2000 farmer groups and 20,000 farm households. This is before completing the water channel/irrigation channel by farmer groups. 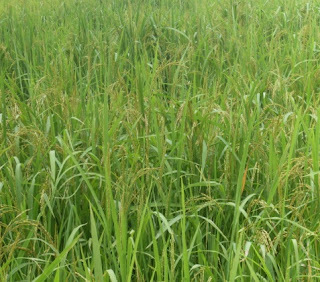 NERICA (New Rice for Africa) became well-known in Sierra Leone partially due to the Project funded by African Development Bank. 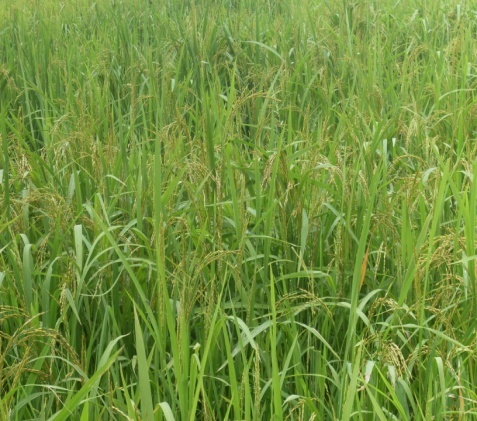 The project collaborated with Ministry of Agriculture and Technical Agency (Sierra Leone Agriculture Research Institute: SRARI) to produce more NERICA seeds, demonstrate cultivation process and yields compared to other varieties, provide extension services, support land development and provide subsidized inputs as initial boost for income increase which will lead to graduation from subsidies in next cultivation cycle. 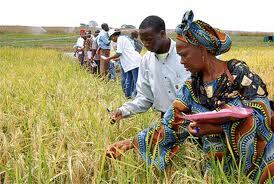 In fact, it was West Africa where NERICA was created by WARDA (West Africa Rice Development Association *). So far, tons of NERICA seeds were produced and disseminated to farmers along with other inputs and equipment. The Supervision Team and some project staff visited some demonstration sites and rice fields where we could interact with local farmers and discuss progress as well as remaining challenges. Great awareness of NERICA as higher yield variety was clearly observed across districts and villages. 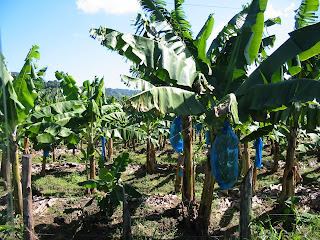 Line planting, a better planting methodology became more common even among very poor farmers. Farmers groups and farmers associations were expanding and improving their functions although some of them are still new and need to learn from matured groups. Land development and scaling up found to be unbeaten challenges. These required adequate equipment, skills, knowledge, business plans and affordable financing options. One private firm was passionately tackling and gradually overcoming these challenges, which gave me an inspiration and great hope for Sierra Leone's future. The below picture shows you the very different scale than the above ones. Actually, the improved yield of above farmers are 1.6-1.8 ton/ha while the primitive farmers remain 1-1.3t/ha. Now how much yield this company gets? It's about 4.2 t/ha without fertilizer and 7.6t/ha with fertilizer. So, this is the potential of Sierra Leone agriculture. We should invest more in agriculture sector in Sierra Leone and help small farmers to shift towards large scale farming. It was my first time to visit in West Africa, and of course, Sierra Leone, a country suffered a decade war till 2003 due to economic interests in mining, especially diamond. The film, "Blood Diamond" probably made the country well-known in the world. Still my knowledge about the country was limited to the always-low-ranking in human development index published by UNDP. Tons of documents from my colleagues gave a lot of information and good understanding of the country particularly in agriculture sector. The field trip in districts of the country, nevertheless, inspired me more than anything. I'm convinced that Sierra Leone has a vast potential of agricultural production and growth, which will surely push up the country's development ranking because increased income for farmers (i.e. mostly poor families) support health and education of their family members, especially children. 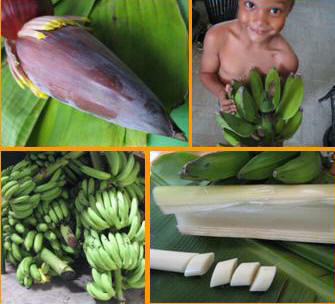 The increased production of agricultural products will lower the food price and increase income for the country by trade. 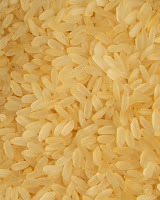 (Sierra Leone imports a lot of rice which accounts for almost 20% of its import value). However, at this moment, many children have to work on streets. This girl in Kenema district, probably age of 8-10 was selling the grilled corn in a small market. Not because of charity, I had to buy them on the way to fill my too empty stomach. The corn was so tasty! A group of kids (picture shown below) told me "no school more play" but they do need schools. Eventually, we drove more than 1700km in 4 days covering 5 districts from far east, north (till the boarder to Guinea), central and south. The story and project details will be shared in the next post. After the fun part (field visits and deep discussion with project teams), we had to strategize an approach to communicate with Ministries (Ministry of Finance, Agriculture, Water and Local Governance - a total of 4 ministries) while developing "Aide-Mémoire" (an agreement document including some recommendations to be signed by both lender (Bank) and borrower (country). After the fun part (field visits and deep discussion with project teams), we had to strategize an approach to communicate with Ministries (Ministry of Finance, Agriculture, Water and Local Governance - a total of 4 ministries) while developing "Aide-Mémoire" (an agreement document including some recommendations to be signed by both lender (Bank) and borrower (country). During the field visits, some issues were observed such as temporary relocation space and transition of markets, longer duration of tendering/procurement, communication with targeted beneficiaries (farmers, vendors and traders). However, the most difficult part was found out - too slow implementation of irrigation component under one of the projects and super delayed procurement under another disease control project. Here is a national/local politics between ministries come in. While Ministry of Agriculture (MoA) is supposed to carry out the irrigation component, it was revealed that Ministry of Water (MoW) had better performance so far. Of course, MoA didn't want to give it to MoW, which clearly shows its relative incompetency in front of MoF. We knew it, for sure and that's why we had to meet first MoF and MoW before communicating our recommendation - reallocate the irrigation component from MoA to MoW! Only after ensuring a concensus with MoF and MoW, we met the Minister of MoA who became upset and insisted to retain the component as it was. She even mentioned "you may not want to get in a trouble". But, the proeject was already in a trouble and needed a quick fix to achieve the intended results. On the following day, we again met MoW and MoF to share the meeting result with MoA and it was decided to issue a president letter to authorize this reallocation. Developing and fine-tuning the Aide-Mémoire was dynamic process to incorporate all feedback from projects teams and ministries. We; however, managed to finalize and put it in a good shape before carring the hard-copy to a senior official at MoF for his signature. It was very helpful to have this person because it was himself who proposed the president letter which enabled us to move on. Apart from the political negotiation and developing the final agreement, I had to visit all projects offices to have more discussions on financial management. It was found out to be varied regarding quality of internal control, record keeping, future financial planning and monitoring etc. Although I tried to resolve issues on the spot but I had to include some remaining ones in the Aide-Mémoire along with the action plans which I and project teams jointly developed during the 2nd week. Monitoring and supervising 5 projects at the same time was, in my view, efficient but intensive, even a bit tiring......For this mission, my "3" weekends were gone due to transport from Tunis to Uganda (both ways) and report writing while in Kampala. Arriving in Saturday mid-night at Dubai and flying back to Tunis in the evening on Sunday. I would like to propose traveling on week days for the next mission. It was, nevertheless, very worthwhile experience and valuable time I had on the field. 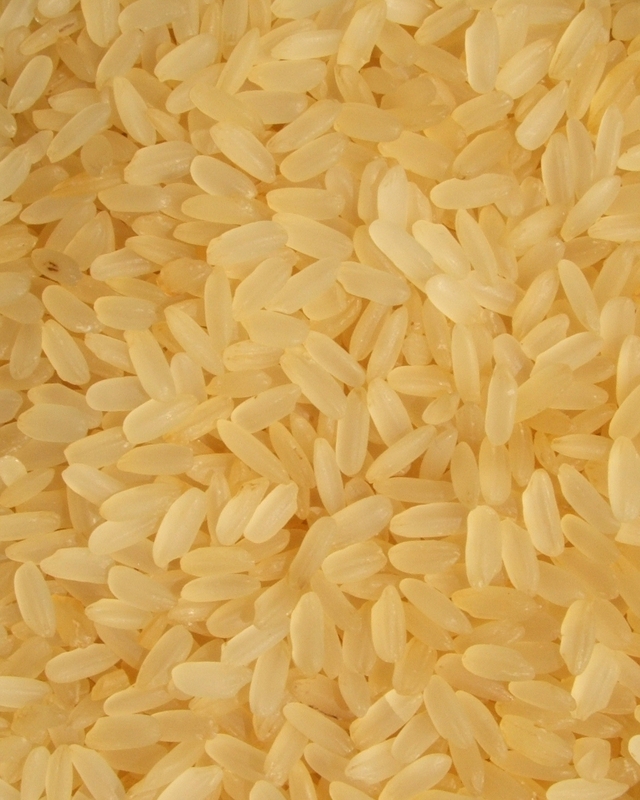 Even though I was grown up in an Asian country where we eat rice almost every day, it was only today I learned "parboiled rice" by reading project documents for Guinea, an African country. While looking at the Wikipedia, particularly on the section of Parboiled Method, I'm impressed and wonder why we only eat "white rice" which washes away most of nutrients (probably because of taste!?). This method can retain 80% of nutrients according to this web page, which sounds significant! From March 21st to April 2nd, I was on biz trip to Uganda to review the progress of 5 agricutlure projects varies from income enhancement and livestock desease control to a bit more rural infrastructure such as rural feeder roads and rural markets. This was my first trip to Uganda so imagine how excited I was! The preparation as I did just for myself, however, was very helpful once the team started the deep discussion about project progress and raised many issues incuding audit and financial management where I pitched in. The fun part (at least for me) was the sites visits in various districts in Uganda - Nakasongola, Lira and Gulu (boarder to South Sudan!) while driving more than 1000km of bumpy roads in 3 days......with blackout at rural hotels and mosquitos carrying Malaria... Anyway here are some pictures that you can see the ground view of rural Uganda. A completed project road - very different from the previous example! Villagers gave us their feedback about the roads saying they could reduce their transport cost (both fuel and time - time is also important since they rent a truck hourly-basis for their logistic business to briing cassava, potato, corn etc) and increase their business revenue by doing more in the same time duration. Now we supported to establish a bigger and more confortable market facility so that more farmers can sell their products and more buyers can be attracted from various villages even from South Sudan! This is another livestock facility under construction in Nakasongola district. Traders will come to buy livestock (mainly cattles). The estimate of trade volume is 150 cattles in every 2 weeks. It's not perfectly clear how the recent food price increase will impact on Africa; however, it is essential to be alerted. African Development Bank is trying to initiate 2nd phase of African Food Crisis Response sometime this year depending on the emerging situation and availability of resources. Its agriculture department has more than USD 3 billion portfolio to contribute to the agricultural development and food security for African countries in addition to the upcoming African Food Crisis Response Programme. 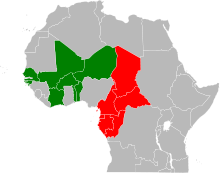 The following is the quick look at some of African countries and their situation. 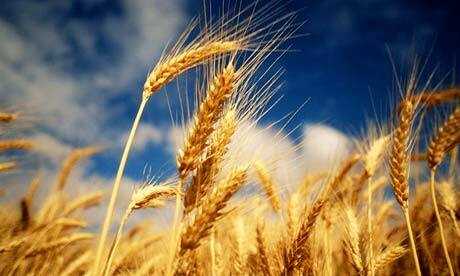 As you may know, Africa as a continent, is a net-importer of food (i.e. not sufficient supply to feed entire population on the continent) and, therefore, global food price does have an implication for their food security. The cereal production was increased by 12.7% from 47.9 million tons to 54 million tones, which is higher than 49.3 million tons in 2008. In the region, due to the increased production, the required import will be lower for 2011; however, the quantity remains high at 11.4 million tons. While most of West Africa countries had good harvest during 2010. Benin is an exception where cereal production is forecasted to drop by over 10 percent due to irregular rains and floods during the growing season. Because of the large-scale flood, Benin has been most affected in the region and over 680 000 people are estimated to have been affected causing a serious deterioration of the food situation in parts of the country. According to OECD, Benin had 12 months equivalent of foreign reserves in 2009; however, this will decrease and fiscal balance will enter into negative during 2011, at - 1.3% of GDP. 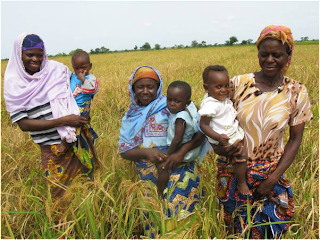 Moreover, the severe food crisis that struck Niger in 2009/10 has uprooted large segments of the rural population and had serious income, livelihoods and nutritional effects. Regarding Niger’s foreign reserve, the updated data is not available but 2009 data shows 6.2 months of imports and estimated fiscal balance for 2011 remains slightly negative at -0.6% of GDP. Liberia, Sierra Leone and Guinea demonstrate slow recovery and remain alerted due to price increase and inflation along with large public debt except for Liberia. Sierra Leon and Guinea require attention due to expected high public deficit at -4.3% and -6.6% of GDP during 2011, although Liberia’s fiscal balance will also negative at -1.8 % during 2011 and only had 2.9 months of imports for its foreign reserves in 2009. Côte d’Ivoire, if the political tension sparks the civil war, can enter into food crisis considering its estimated negative fiscal balance at -1.6% of GDP during 2011 although it had 5.5 months of imports as foreign reserve in 2009. In Central Africa, the cereal production in the region was increased by 9.7% from 3.1 million tons in 2009 to 3.4 million tons in 2010, which is higher than 3.3 million tons in 2008. 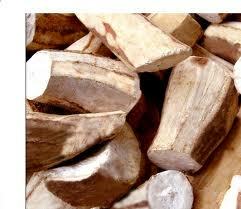 The required import quantity for 2011 will be 1.9 million tons. The persistent civil insecurity continues to impede agricultural recovery and restrict humanitarian work in the region. In Chad, large numbers of refugees located in southern and eastern regions from Sudan and Central African Republic. Drought and lack of pasture led to serious livestock deaths and damage in 2009/10 and the country has increasing public debt which needs an external financial support. Chad requires careful attention due to low level of foreign reserve and expected large public debt at -11.6% in 2011. Armed clashes in the Equateur province in the Democratic Republic of Congo has led to more than 100 000 civilians crossing the border into the Republic of Congo and the Central African Republic since the end of 2009 and the influx of refugees has placed additional demand on the already strained food supply situation. Democratic Republic of Congo will be in a critical situation during 2011 because it will enter into fiscal deficit at -6.5% during 2011 and had foreign reserve as equivalent of 0.2 month imports in 2009. A similar situation is reported in eastern and northern parts of the Central African Republic, with adequate level of foreign reserve at almost 10 months imports and estimated 2011 fiscal balance will be slightly negative but at -0.01% of GDP. In the Republic of Congo’s forecasted fiscal balance will remain positive at 23.1 % of GDP and the country had sufficient foreign reserve of 19.7 months imports in 2009. Early estimates for the sub regional cereal production in 2010 indicate a record crop of about 36.6 million tons, about 10 percent above the previous five-year average; mainly due to the average to above average rainfall in most parts of the sub region that enhanced planted area and yields. In Burundi and Rwanda, planting of the 2011 cereal and beans season began in September under erratic rainfall conditions. 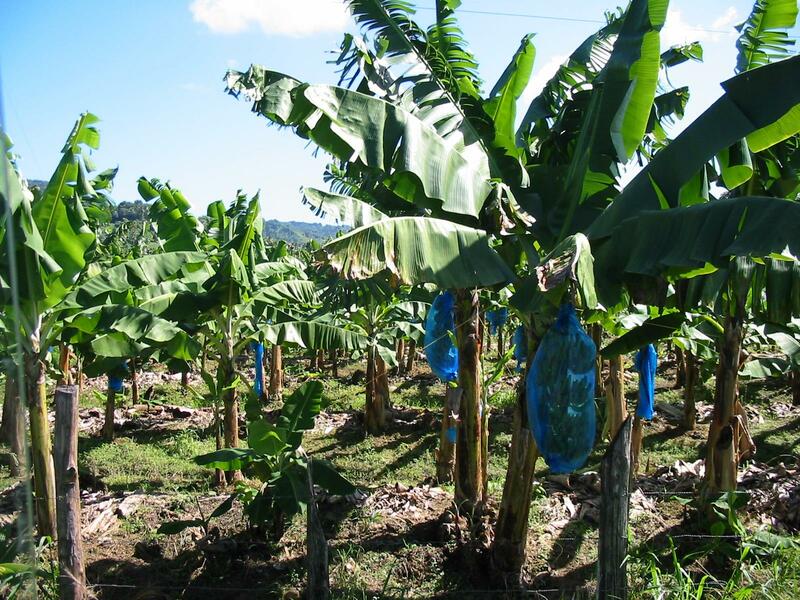 Prospects for this season, scheduled to be harvested from early 2011, are mixed due to the prevailing conditions associated with below normal rainfall. 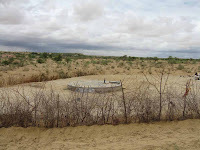 In Kenya, despite an improved food security situation at the national level, conditions are expected to deteriorate for pastoralists and agro-pastoralists, especially in North-East province and in Tana River district of Coast province, until March 2011, due to dry-weather conditions. In southern states of Sudan, food prices are expected to increase in the coming weeks as traders may decide to reduce imports due to security uncertainty related to the secession referendum scheduled at beginning of January 2011. In Eritrea, harvesting of 2010 main season crop is almost complete and production prospects are favorable. The vegetation index of October 2010 shows good to very good vegetation conditions compared to last year in most regions. Ethiopia had a good harvest in 2010 but estimated people requiring food assistance is still estimated at 2.3 million mainly in Somali, Tigray, and Oromia states. Uganda is generally food secure following a good first season crop, harvested in September, which improved household food stocks, market supplies and income. 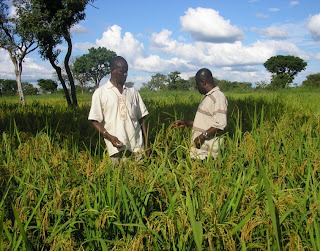 However, poor pastoral and agro-pastoral households in Northern and Karamoja regions are expected to face moderate food insecurity conditions from March 2011, as second-season food stocks will be depleted and staple food prices are expected to rise in local markets. The majority of the people in need of assistance in Eastern Africa are concentrated in southern Sudan, eastern Ethiopia, central and northern Somalia and northeastern Uganda. Civil insecurity and conflicts continue to negatively impact on the food security situation of this sub-region, disrupting local livelihood systems and affecting trade and food aid distribution. Ethiopia and Kenya will require particular attention due to an expected high public deficits estimated at -3.1% and -6.8% of GDP respectively during 2011. Given the adequate national and sub-regional cereal supplies, food security conditions are generally satisfactory in most Southern African countries. Heavy rains towards the end of November and the beginning of December helped offset early season deficits in some areas, supported planting activities in southern parts of Mozambique, Botswana, as well as the northern Maize Triangle in South Africa. Good rains were also recorded in western regions of Zambia and central Angola over the same period. In Malawi, it is estimated that 508 088 persons will require food assistance, down from 1.1 million estimated in June. The reduction is a result of a combination of, improved production of sweet potatoes and pulses, as well as a good harvest from the irrigated winter crops. The Wikipedia says Both CFA Francs currently have a "fixed" exchange rate to the euro: 100 CFA francs = 1 former French (nouveau) franc = 0.152449 euro; or 1 euro = 655.957 CFA francs. Fixed exchagne rate?? Ummm, sounds very tricky. Looking forward to my future mission to these countries and will see the reality on the ground! After completing 2 weeks introduction program, I started working for agriculture department covering all countries in Africa. While reading some reports, some unfamiliar countries emerged. Have you ever heard of "Sao Thome and Principe"?? It's a island country in the Gulf of Guinea. How many more poor in India? NEW DELHI: India's abysmal track record at ensuring basic levels of nutrition is the greatest contributor to its poverty as measured by the new international Multi-dimensional Poverty Index (MPI). About 645 million people or 55% of India's population is poor as measured by this composite indicator made up of ten markers of education, health and standard of living achievement levels. Developed by the Oxford Poverty and Human Development Initiative (OPHI) for the United Nations Development Programmes (UNDP) forthcoming 2010 Human Development Report, the MPI attempts to capture more than just income poverty at the household level. It is composed of ten indicators: years of schooling and child enrollment (education); child mortality and nutrition (health); and electricity, flooring, drinking water, sanitation, cooking fuel and assets (standard of living). Each education and health indicator has a 1/6 weight, each standard of living indicator a 1/18 weight. The new data also shows that even in states generally perceived as prosperous such as Haryana, Gujarat and Karnataka, more than 40% of the population is poor by the new composite measure, while Kerala is the only state in which the poor constitute less than 20%. The MPI measures both the incidence of poverty and its intensity. A person is defined as poor if he or she is deprived on at least 3 of the 10 indicators. By this definition, 55% of India was poor, close to double India's much-criticised official poverty figure of 29%. Almost 20% of Indians are deprived on 6 of the 10 indicators. Nutritional deprivation is overwhelmingly the largest factor in overall poverty, unsurprising given that half of all children in India are under-nourished according to the National Family Health Survey III (2005-06). Close to 40% of those who are defined as poor are also nutritionally deprived. In fact, the contribution of nutrition to the overall MPI is even greater in urban than rural India. A comparison of the state of Madhya Pradesh and the sub-Saharan nation of the Democratic Republic of Congo (DRC), which have close to the same population and a similar MPI (0.389 and 0.393 respectively), shows that nutritional deprivation, arguably the most fundamental part of poverty, in MP far exceeds that in the DRC. Nutritional deprivation contributes to almost 20% of MP's MPI and only 5% of the DRC's MPI. MP's drinking water, electricity and child mortality levels are better than that of the DRC. Multi-dimensional poverty is highest (81.4% poor) among Scheduled Tribes within India's population, followed by Scheduled Castes (65.8%), Other Backward Class (58.3%) and finally the general population (33.3%). There is significant variation between the poverty incidence in various states as per the MPI and as per the Indian Planning Commission's official figures. Based on the MPI, Bihar has by far the most poor of any state in the country, with 81.4% of its population defined as poor, which is close to 12% more than the next worst state of Uttar Pradesh. As per the Planning Commission's figures, 41.4% of Bihar and 32.8% of UP is poor. In a possible indication of inadequate access to health and education facilities which do not show up in income poverty, almost 60% of north-east India and close to 50% of Jammu & Kashmir are poor as per the MPI, while the Planning Commission figures are around 16% and 5% respectively. The findings would provide further ballast to the argument of some economists that India's official poverty estimation methods are too narrowly focused to capture the real extent of deprivation in the country. Recently we launched a publication and you can see the key messages from here. The summary of each chapter would be useful for some of you have interests in issues of urban poverty in India. This is still a start of understanding of the urban poor and to initiate some actions since the urban population including the poor will continuously grow in future. Yesterday was the International Day for Persons with Disabilities but, this issue is not very simple. In many countries, social welfare, social protection and health programmes are the first group to provide support for these people who have more challenges than others. 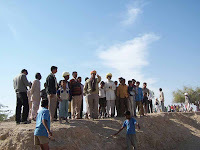 In rural India, as an example shown in the previous page on this blog site, these people with additional challenges are, obviously having harder time to involve any kinds of activities at village and municipalities. UNDP recently made its mandate to work for these people in its prgrammes and projects. In India, we are trying to provide some feasible livelihoods to these people by working with various government departments. At least, in Rajasthan, we started working with some training institutions to develop special training programmes for persons with disabilities. Nevertheless, many things have to be done. Many challenges are remaining for us and for all. December 2 is one of the special days to remind human rights for persons with physicall/mental challgenges. In Delhi, all UN agencies are getteting together to invite partners, government officials, NGOs etc. Here is the illustration of the today's program in Delhi. There was a nice dance performance of a girl from a special school and she did it in front of a large audience - quite impressive. on Tuesday, 2 December, from 10:30 a.m. to 12:30 p.m. This is an illustration of a part of rural India with newly developed road but you can see villagers walking on their bear foot with heavy luggage or on bicycles. Essential livestock are cows and goats and some chicks. The location is northern part of Orissa, Mayurbanj district that draws boarder from the neighbour state, Bihar and Jharkhand. I am managing one ongoing project in Rajasthan and two new projects to be initiated this year. Taking over an ongoing project is always tricky because you don't know the background and history in detail even though you may have briefing sessions with a previous person managed the project. This is project is implementing community-based watershed to increases awareness of water management in villages, build water structures to extract underground water and to store it for daily usage as well as for cultivation and other economic activities. The project covers a desert region, so called Marwar region, the east part of Rajasthan where people continuously suffer from lack of water. This project is funded by Italian Development Corporation and managed by UNDP although the implementing partner is responsible for ground work. In most cases, the counter partner of UNDP is Indian government, central or state government. This mode of projects is called "National Execution (NEX)" and the mode of this project is "Direct Execustion (DEX) ". Usually UNDP only allows DEX in least developing countries or conflict countries whose government capacities are insufficient to be accountable for aid grant. I feel lucky that I can do DEX in India since none of other projects are DEX. I found this mode of execution let me engage more substantially with communities and implementing organizations. My task of this project is more like a project supervisor who check plans, financial management, human resources and quality of the project team's work. I cannot work in villages everyday but I can still feel that I am closely working with people or for the eventual beneficiaries. However, not only advantages to deal with this project, I am having some struggles and I will be by the end of 2009 when this project will be closed. Anyway, it is a good challenge and a good learning process that I wanted to experience. $10 Laptop in India - Next generation of $100 Laptop?? This is still an on-going project by the Government of India and $10 may be subsidized price; howevever, it will be more affordable for many Indian students and be a great step to improve their access to information, education and employment. Hoping some manufacturing campanies proactively involve this plan and expand the reach to rural areas. 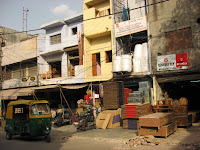 There are some furniture shop areas in Delhi. 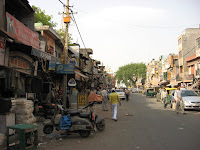 One of the on the street close to the middle of the Delhi, so called Connaught Place, or "CP" in short. One can find new shops and good bars in CP but, also find small enterprises for furniture etc. This street view on the right picture made me realized that furniture being sold on the nice shops are made by those people behind the main streets. This is a sort of opportunity in Delhi and in India to improve quality of furniture and stop importing those made in Malaysia and China to offer more jobs and decent payment to Indian citizens, particularly low-income segments. It is well-know that more than 90% of Indian labor force is in the informal sector where they don't have health insurance, labor protection and pension benefit. Apart from the labor market reform, increasing productivity and quality of their products will help their economic aspects at least.